How can you work in an integrated way whilst retaining specialist skills at the same time? 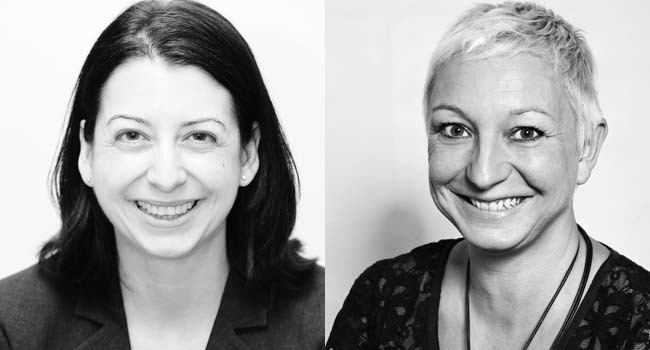 In an exclusive interview with PRWeek Jobs, Jane Brearley and Louise Fish, who head up Portland Health, explain the challenges and opportunities PR specialists face in a more 'integrated' future. Louise Fish and Jane Brearley from Portland Health say people who think in an integrated way will be at the forefront of a shift in the way the PR industry and clients' businesses are developing. Portland is a fast-growing communications and public affairs consultancy that is constantly on the lookout for new talent. They help clients tell their stories and excel at bringing together the key disciplines of strategic communications, public affairs and digital engagement, to create truly integrated campaigns. Portland Health works with a broad range of clients including patient advocacy groups, such as Macmillan Cancer Research, trade associations such as the ABPI, private providers such as Care UK, and pharmaceutical companies such as Biomarin. What skills are in highest demand in your agency? Given the breadth of our portfolio, we are looking for people who have an entrepreneurial spirit and are flexible in their thinking. It is important that you can think creatively whilst keeping your clients’ business objectives at the forefront of your mind. We have very high standards so an eye for detail and a passion for delivering above and beyond our clients’ expectations is key. What are the latest trends affecting your agency? Our clients are increasingly becoming more integrated in their approach as they see the business value of delivering consistent messages across the whole business. Quite often what were once separate teams spanning across corporate communications, government affairs, digital communications, internal communications and brand marketing, are being brought together. What is your approach to integrated communications and how are you managing it? Unlike many agencies, we have worked hard to truly integrate our teams. We take our client’s business objective as the starting point for any programme, and build a team that can deliver against their objectives. This means that on the majority of our accounts people from different teams across Portland work together. This is vital to ensure that whilst we have an integrated approach, those people delivering each aspect of the programme are experts in their fields who are passionate about communications and have a distinct skill set. How can you work in an integrated way whilst retaining specialist skills at the same time? Integration is a state of mind. It is about using your skills where they best fit and being able to tap into the talent around you to come up with the best solution. The possible downside of integration is that people can lose their specialisms and become jack of all trades. We provide regular training and development to make sure our staff remain highly skilled in their chosen disciplines. Integration breeds opportunity, especially for people who are able to come with an open mind. By taking an integrated approach, there is a vast opportunity for people to learn and grow – particularly junior team members who gain exposure to a varied set of skills within communications. What is important is learning to think in an integrated way, which means leaving preconceptions behind and working out the best way to deliver exceptional results and learn from each other on the way. People who think in an integrated way will be at the forefront of a shift in the way our industry and our clients’ businesses are developing. So in terms of progression, the sky is the limit! What career challenges do PR specialists face in a more ‘integrated’ future? What changes do you expect to happen to jobs in the PR industry in the next year? Austerity means that our clients are facing real challenges, as they are being asked to do more for less with smaller budgets and fewer staff. This means that clients are looking for agencies who can add real value by giving high quality strategic advice and providing hands-on support to deliver projects to exceptional standards during busy periods. What roles are you currently recruiting for? With an ever-growing portfolio we are always on the lookout for super talent. Visit our careers page to view job descriptions, sign up to vacancy alerts and apply for roles.